Pete Robinson, owner and operator of the one-quarter scale Waterman and Western Railroad in Waterman Lions Park, stands under his snow fall display on Thursday, December 18, 2014. 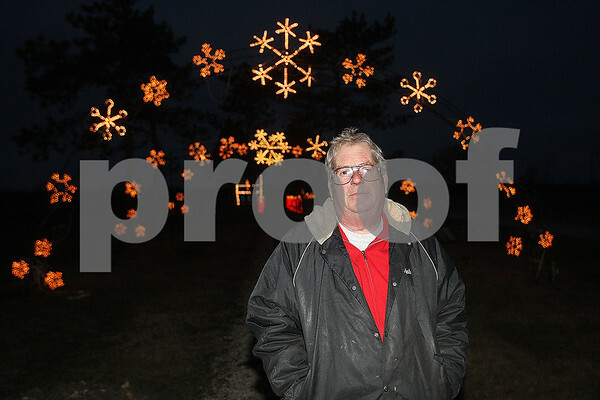 Robinson estimates that vandals did about 20,000 dollars worth of damage to his Holiday Lights Train displays. Each arch took him 160 hours to build and he builds all of the displays himself, adding something new each year.